(MUST COMMIT TO 3 MONTHS OF TRAINING TO RECEIVE THIS RATE) You must complete your sessions within 30 days of your purchase. After 30 days your card will be automatically charged to start your next set of sessions. If you choose not to participate than you can cancel the subscription at any time. 6 60 minute training Sessions (MUST COMMIT TO 3 MONTHS OF TRAINING TO RECEIVE THIS RATE) You must complete your sessions within 30 days of your purchase. After 30 days your card will be automatically charged to start your next set of sessions. If you choose not to participate than you can cancel the subscription at any time. 8 60 minute training sessions. (MUST COMMIT TO 3 MONTHS OF TRAINING TO RECEIVE THIS RATE) You must complete your sessions within 30 days of your purchase. After 30 days your card will be automatically charged to start your next set of sessions. If you choose not to participate than you can cancel the subscription at any time. 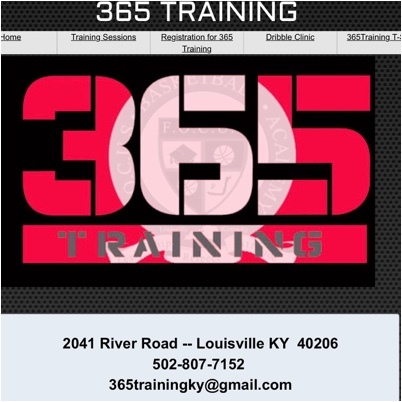 6 60 Minute Training Sessions at $37.25 per session. 60 Minutes of non stop dribbling. This class is designed to focus on nothing but dribbling for 60 minutes. PLEASE BRING CASH!!! 60 minutes of catch and shooting the basketball. This subscription will allow you to attend Wednesday’s 4:15p-5:30p OR Saturday morning from 11am-12:15pm. That’s a total of 5 hours per month. You must complete your sessions within 30 days of your purchase. After 30 days your card will be automatically charged to start your next set of sessions. If you choose not to participate in that next session than you may cancel the subscription at any time. This subscription will allow you to attend every Wednesday afternoon 4:15p-5:30p. That’s a total of 5 hours per month. You must complete your sessions within 30 days of your purchase. After 30 days your card will be automatically charged to start your next set of sessions. If you choose not to participate than you can cancel the subscription at any time. explosive movements, sports specific movements, injury prevention & mobility. 8 Training sessions per 30 days. (Save $100) You must sign up for one of the following Days and time. *All packages expire 30 days after your initial session. 4 Training sessions per 30 days. (Save $50) You must sign up for one of the following Days and time. *All packages expire 30 days after your initial session.